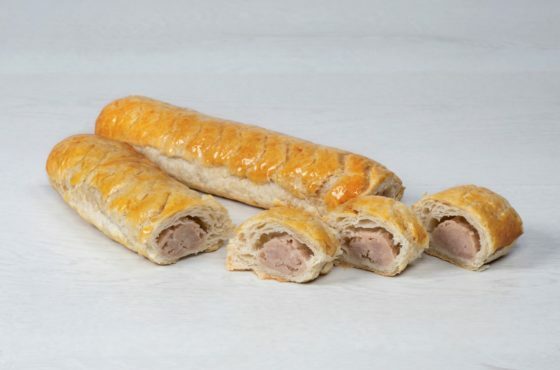 Sausage Roll Concentrate is a blend of rusk, onion, potato, herbs and flavours. 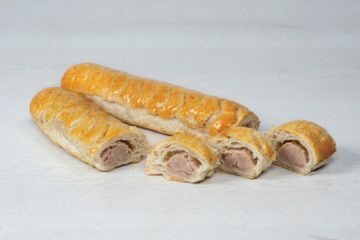 When added to minced meat and water, Sausage Roll Concentrate provides a premium quality and delicious eating sausage roll filling. Excellent volume to the sausage roll. No shrinkage of the filling. Tasty spicy aroma and flavour with a slight pink hue, complements the golden pastry. Flows smoothly through machinery, avoiding breaks with continuous production. Freeze thaw stable for batch production. 1. Combine the minced meat and dry Sausage Roll Concentrate together on 1st speed using a beater (do not mix on high speed as this causes the starches to overwork prior to cooking). 2. Gradually add the water and mix together until blended. 3. Allow to stand for 10 minutes. 4. Pipe the filling onto the prepared pastry and finish as required and glaze. 5. Bake at 220℃ (428℉) for approximately 15 minutes.